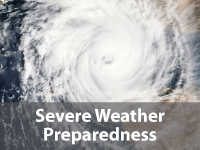 It is especially important for people with functional and access needs to prepare in advance for disasters. Plan to make it on your own, at least for a period of time. It’s possible that you will not have access to a medical facility or even a drugstore. The more planning that you do in advance, the easier it will be for others to help you in case of an emergency. Create a support network in advance to help in an emergency. Tell these people where you keep your emergency supplies. Contact your local Emergency Management Agency. Many of them keep lists of people with special needs so they can be located quickly in a sudden emergency. 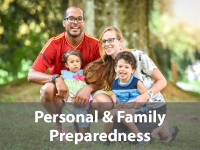 In addition to basic preparedness actions, individuals with functional or access needs and their network of family and friends must consider extra needs. 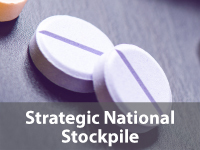 Supply kits and emergency plans should be created to address an individual’s specific needs – a basic supply kit and plan are good starting points, but both should be customized as needed. Contact information for doctors, relatives or friends that can be notified if you are hurt. Build a support network of family, friends, doctors, community members and anyone else that may be able to help in an emergency. Let your support network know where you keep your supply kit. Teach people in your support network how to properly operate and transport your medical equipment. Contact your local Emergency Management Agency – many offices keep lists of people with disabilities so they can be helped quickly. If you require life-sustaining treatment, like dialysis, keep a record of multiple facilities that may be available. Talk to your healthcare provider about how you can keep medical equipment operating during power outages. If you have a communication disability, note the best way to communicate in your emergency information. 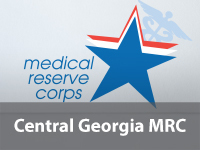 The Central Georgia Medical Reserve Corps has developed a presentation specifically designed to teach participants how to create an emergency plan to fit their medical needs. 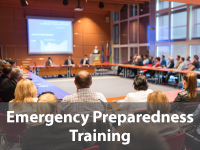 The course, Emergency Preparedness for Functional and Access Needs Populations, is around an hour long, but can be adjusted as needed. 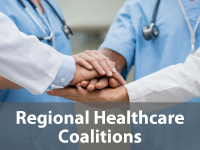 To request a presentation for you organization, call 478-751-3029 or contact the Central Georgia Medical Reserve Corps Coordinator with a completed form. The Georgia Emergency Preparedness Coalition for Individuals with Disabilities and Older Adults is a statewide group dedicated to helping those with functional and access needs prepare for emergencies. The coalition links advocacy groups with emergency preparedness agencies and advocates for greater disability awareness in emergency planning. Read the coalition fact sheet for more information or watch their sign language introduction.